Christmas is over and the New Year is quickly approaching! What are your plans for New Years Eve? 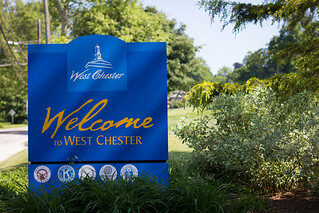 If you haven’t already made plans check out some of these awesome places in Downtown West Chester, for more information visit http://www.figwestchester.com. Iron Hill Brewery | 610.738.9600: Take advantage of Iron Hill’s special Celebration Menu December 28 to 31, with choices like Crispy Seared Sea Bass, Baked Blue Point Oysters and Pear Financier! Kooma | 610.430.8980: Celebrate New Year’s Eve with Sushi and Sake! Call to reserve your ticket to Kooma’s NYE Special; $60 per person includes Sushi and Appetzer Buffet, House Sake, House Wine and Domestic Beers. A DJ will be spinning from 9 p.m. to 12 a.m.
Limoncello | 610.436.6230: Ring in 2014 with a memorable meal! Enjoy a three-course dinner with choices like Clams Oreganato, Lobster Ravioli and Chocolate Souffle. Call for reservations. Social Lounge | 610.738.3948: Yell “Happy New Year” as you nosh on a special menu and dance to live music from local rock band, VCR. No cover! Teca | 610.738.8244: Plan a special night for two! Choose from three dinner seatings and enjoy special featured menu items like Branzino, Ossobucco and Chocolate Mousse. West Chester Dish has an awesome guide to everything happening in the West Chester area this New Year’s Eve. Check out some of the many events below and head over to http://www.WestChesterDish.com to see more! Avalon will be serving a European Style Menu with multiple courses of smaller portions. The first seating is from 5:30-7:30 pm ($70 per person) and includes dinner and complimentary champagne. The second seating starts at 9:00 pm ($80 per person) and includes dinner, champagne toast at midnight and live entertainment from Steve Laret. Reservations required. On New Year’s Eve, kids eat free from 4 to 7 p.m. The downstairs is open with regular specials and a champagne toast at midnight. Upstairs, it’s Steak’s Annual New Year’s Eve Party. Tickets are $60 per person ($110 per couple), including a buffet, DJ, open bar from 8:30 p.m. to 12:30 a.m., and a champagne toast at midnight. Bull Durham’s has two packages available-one with dinner and acoustic music by Johny Turk from 5 to 8 p.m. If you want to enjoy a two-course dinner with champagne and head home to celebrate ($29.95 per person). Package B begins at 8 p.m. with dinner, open bar and live music by the Mandells from 9 p.m. to 1 a.m. ($49.95 per person). Reservations are required by emailing lisa@bulldurhams.com. A $10 cover gets you a champagne toast with appetizers, featuring lots of tempting items like edamame, dumplings, spring rolls and more. You’ll also have access to $5 Stoli punches and $3 Heinekens, Coronas and Amstel Lites. A DJ will be spinning all night. Specials are from 10 p.m. to 2 a.m.
Ole! A DJ will be playing from 8 p.m. to midnight. All you can eat and drink for $49.99 per person, or receive a couples discount (buy one, get one half-off). Every hour on the hour, starting at 8 p.m., they will raffle off prizes. A champagne toast is offered at midnight. 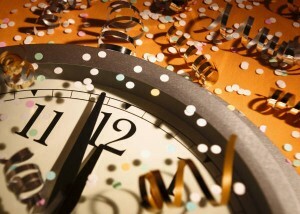 Ring in 2012 with local favorite Hoots & Hellmouth at their second annual New Year’s Eve party with Mason Porter. Hoots & Hellmouth creates new music for old souls. Their second full-length effort, “The Holy Open Secret,” continues to blaze a trail in the name of progressive revival. Tickets are $20 in advance and $22 day of show. The show is for 21 and older only. Drinks and food are available a la carte.